Welcome back to LeBronWatch, your premier source for news about where LeBron James will be playing next season. 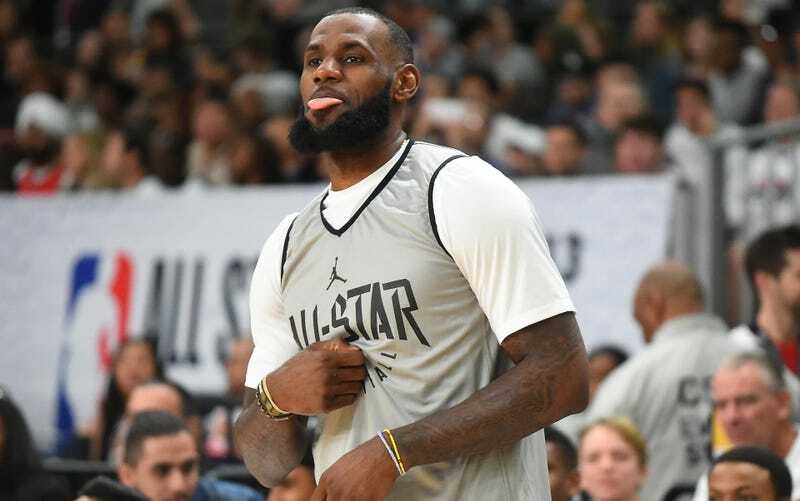 LeBron has until Friday to decide whether or not to opt out of his contract, though opting in is no guarantee that he won’t still engineer a trade elsewhere. As of now, we know he’s planning to leave Cleveland and play in Los Angeles, New York, Denver, definitely not Houston, and also stay in Cleveland with Kawhi Leonard. It’s time to another destination to that list: the club. Kings center Willie Cauley-Stein is somehow famous enough that he got the shouty TMZ treatment outside of a nightclub this weekend, and when asked where LeBron would play next season, he said, “He’s coming here.” He also clarified that LeBron would play for the Lakers as well. One thing we can be certain of is that LeBron is definitely not going to Sacramento, probably because of fierce competition at the small forward spot from Bogdan Bogdanovic.